About - What can the 'net' do for your business? 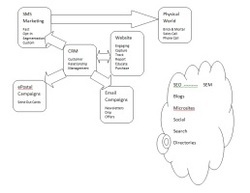 Paid search, organic search, blogging, e-mail marketing, customer management...all should be integrated and designed to work together. 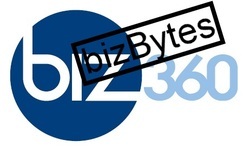 info@biz360.biz - Please send us an email and include your specific interest. Your business is unique. The products and services that you offer. The markets you focus on and much, much more. Your e-Marketing strategy needs to match YOUR UNIQUE business. Your tactics of implementation should probably be phased and should most certainly be measured. ROI goals should be established from the beginning and results measured against those goals. Then strategy and implementation adjusted over time. Mark is the Chief e-Architect and founder of biz360. Drawing on this 30+ years in technology and business, Mark knows how to apply the right technology for the right business purposes. Not all work though - Mark leads a balanced life. Enjoying many sports such as wakeboarding, waterskiing, snowskiing, biking, scuba diving and many more. Mark is also an accomplished sailor and pilot with and instrument rating. His current charity of focus is All Children's Hospital in St. Petersburg, FL. Mark server on the Tampa Guild. The Tampa Guild focuses on Culinary events, which is right up Mark's alley. Recently, Mark was the ACH-Tampa Guild Chair for Beam: Beach, Blues and BBQ held at the world famous Don CeSar hotel in St. Pete Beach. St. Pete fits Mark very well. The size, the beauty, the variety, the waterfronts - all make it very special. In order to further sink his roots, Mark applied for and was accepted into the Leadership St. Pete Class of 2012.